Remember backyards? Those things we’ve been ignoring for the past four months? They’re back! They might not be looking as sharp as they did before the snowfalls, but we’ve got some rad DIY backyard projects to bring it back to life. 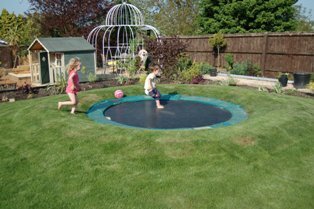 Do you live in constant fear of your kids falling off the trampoline? Honestly—parenting fears aside—trampolines might be fun, but they’re pretty ugly structures. Well, with these sunken trampolines, you’ll never have to worry about either of those things. Just dig a hole, place your trampoline, and voila! Click here for instructions. Marta Potoczek was looking for a treehouse alternative, something that looked nice but offered a little distance from the main house. 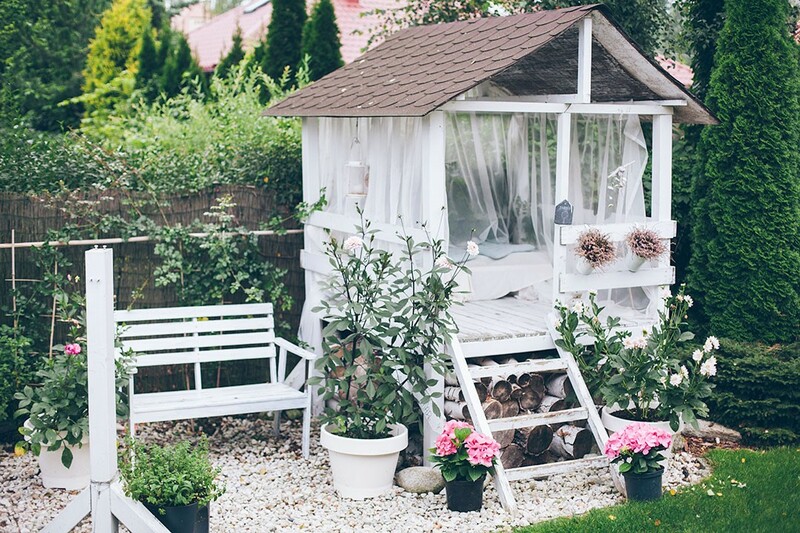 Her solution was this adorable garden house, originally for her daughter to play in and now a perfect woman cave. Moral of the story: your treehouse need not be on a tree. 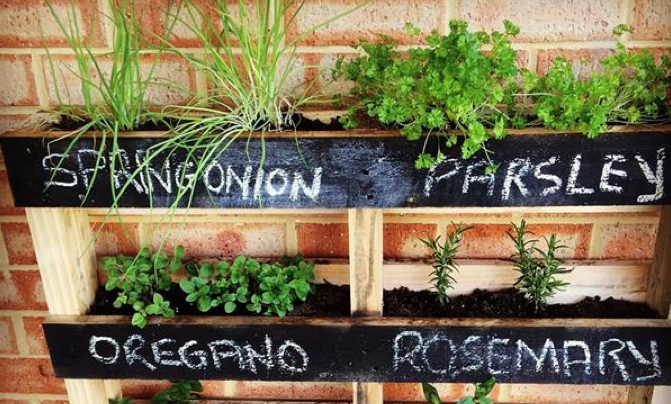 This project is both DIY and eco-friendly (because recycling is good). They are easy to make, and will elevate your backyard to the next level. It’s a win-win! Instructions here. 4. 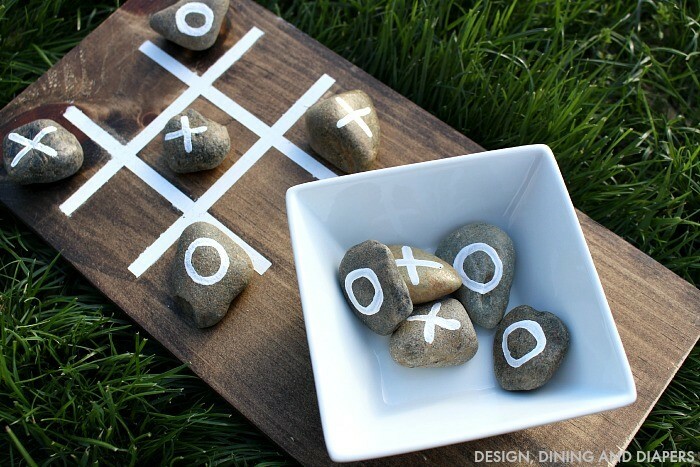 How about some outdoor Tic Tac Toe? 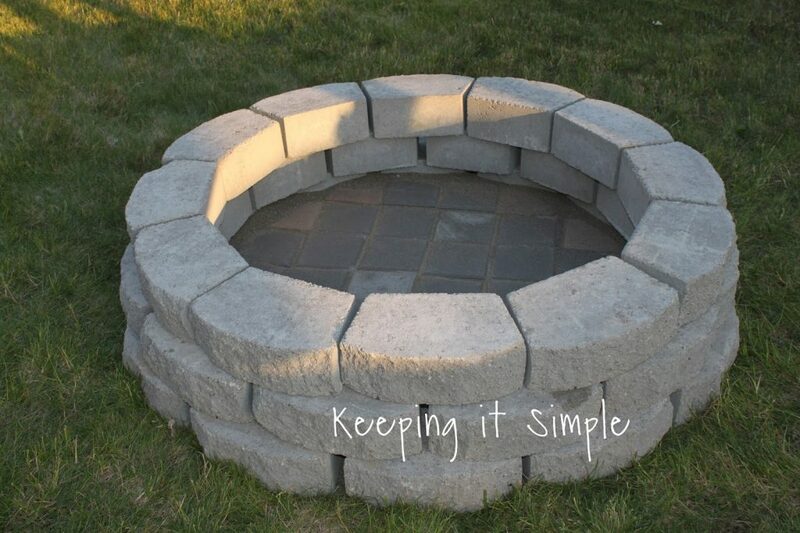 I don’t have a backyard, but I’m considering making one of these anyways. Not only is Tic Tac Toe the best (especially when you’re super good at it), but it also scores high in decorative value. With little effort, you’ll come across as cool and tasteful. Supply list and assembling instructions here. Since we’ve already installed a sunken trampoline, a play house/woman cave, and have a Tic Tac Toe board lying around, how about we go for space efficiency with this one? A vertical garden can cover any and all walls. It looks good, it smells nice, and you can eat it! That is the best of all the worlds, if you ask me. Here’s how to make your own. 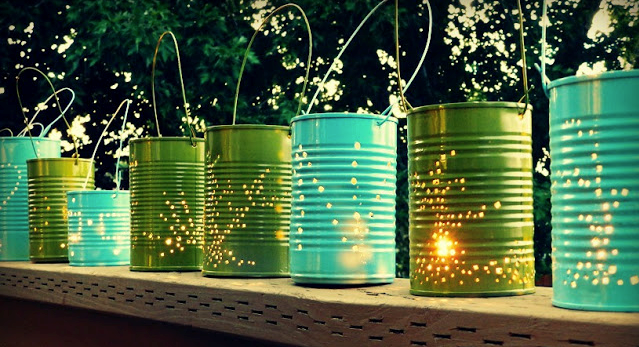 An awesome backyard is just one DIY away. Will surely use this list. Many thanks for sharing. Great.. I’ve been looking for something like this. Thank you for sharing. This is all such great advice! My family and I just finished our spring cleaning. In ground trampoline!!! What a cool idea. Would have loved this as a kid. just what I waas searching for 😀 also saved to favorites. Absolutely indited content, regards for selective information.